The Men’s Cross Country team finished in second place as a team at the Mid-Hudson Conference Championships and Tri-Valley Freshman Quintin Berteau earned All-Conference honors in the race. The Men’s Team also had a strong showing at the Region XV Championships which were hosted by Ulster. Berteau, Tom Buono, Witcliffe Cunningham, Vaughn Donovan and Keith Kortright all put forth efforts that qualified them for the NJCAA DIII Cross Country Championships. Adrian Lopez earned Mid-Hudson Conference First Team for Men’s Soccer. The freshman from Ellenville was also recognized by Region XV as an Honorable Mention. Kevin Kelly was honored as Second Team Mid-Hudson Conference and an Honorable Mention for Region XV. Team Captain Carlos Cuellar was recognized as the Region XV Sportsmanship award winner. 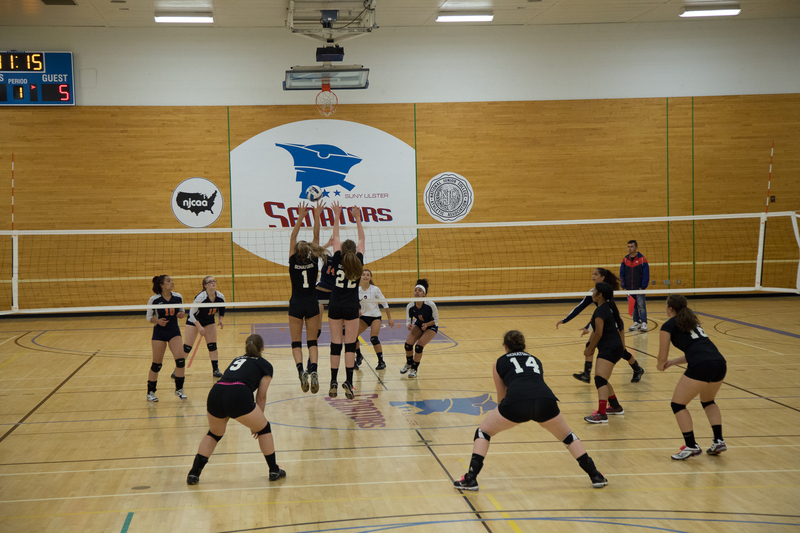 Glenn Warnock led the Women’s Volleyball Team to another successful season. The team posted a 9-1 record in Mid-Hudson Conference play and won a share of the regular season conference title. Kingston Sophomore Erica Prindle and Dover Sophomore Katelyn Smiley earned First Team Mid-Hudson Conference honors. Rhinebeck Freshman Brooke LaRoche was recognized as Second Team All Mid-Hudson Conference.